I love writing about hair care, and collect just as much as I do makeup – I know, hard to believe. 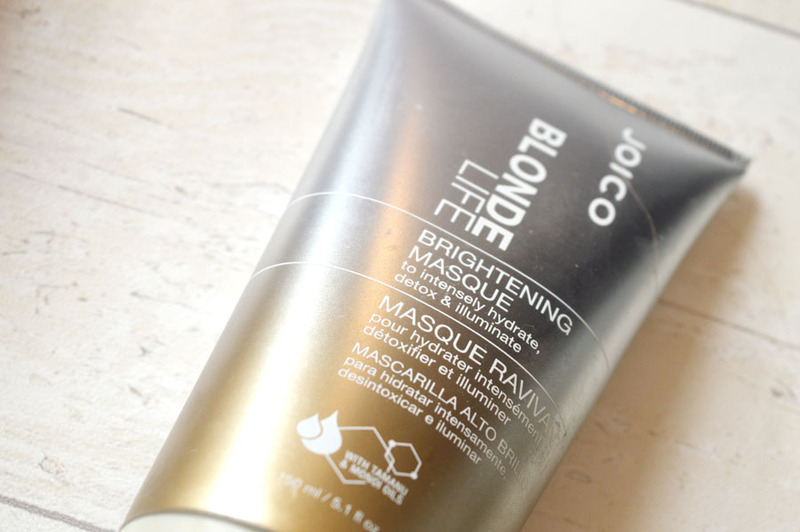 Recently Joico sent across their blonde life hair care range for me to try out (I’m sure has nothing to do with my blog name one bit) and I was very excited to try it out and I love making my hair brighter for the summer. Now fast forward a few weeks, I have fallen in love with the products, and they’re also letting one of my lucky readers win their own set of the whole collection. So keep reading on how to be with a chance of winning! Let start by how to enter the giveaway. Simply follow the entry requirements below – the more you do, the more entries you have, and the more chances you have of winning! YAY. This is a UK-only giveaway unfortunately, but I regularly host international ones on my Facebook and Twitter. The winner will be picked on 19/05, and will be chosen at random. Best of luck! Being blonde can be tough on your hair, and after all of the damage, hair can quickly look dull – not a look we want. That’s what these products have in mind. 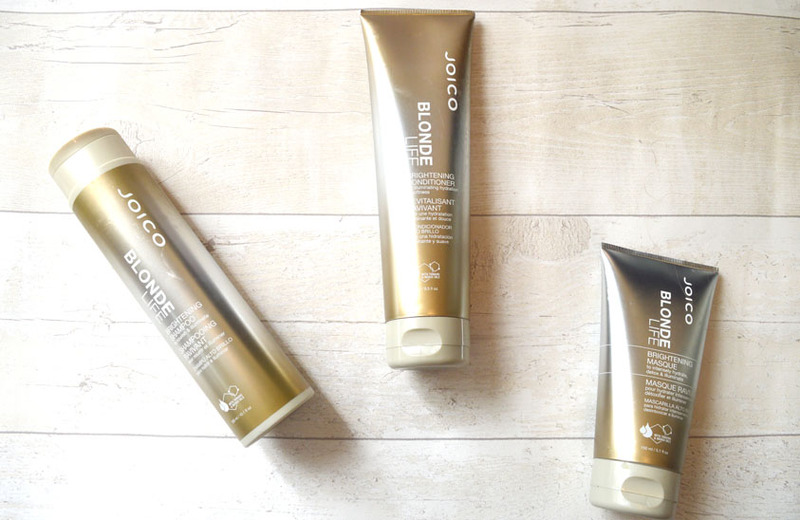 Joico have create sulphate-free (really essential for hair care) and neutralises the optimal pH level of hair. Boring things aside, I’m so obsessed with these products and love how the three compliment each other and not only brighten my hair but make it feel like I’ve just visited a salon. 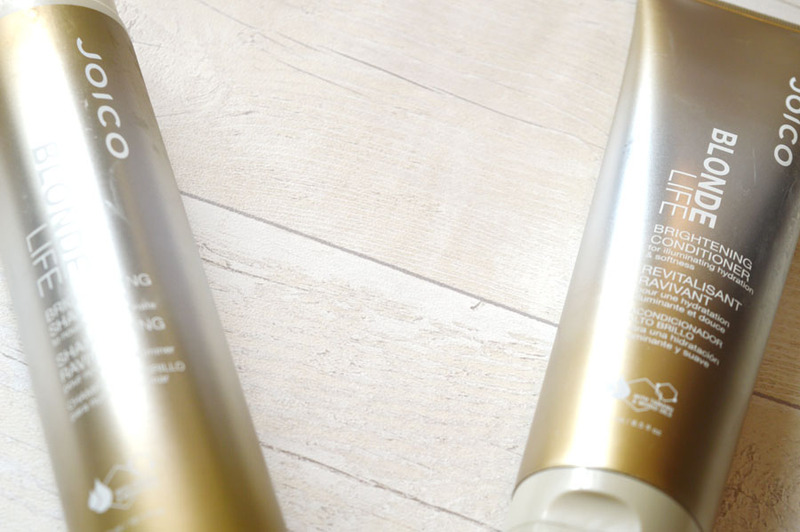 The shampoo lifts away dirt, oil and build up very effectively – perfect for anyone like me who gets oily hair SO quickly – whilst the conditioner feels like a lotion and noticeably makes my fine, flat hair a little more voluminous whilst adding a little shine after I dry it out. I’m that person that always uses far too much conditioner, but use this sparingly as I noticed a little does go such a long way, which in turn is amazing as a bottle of this will honestly last you so long. The third product of the trio – The Brightening Masque – works like all other masks I have used before. Lather your hair in a generous amount, wait as long as desired, results can be seen from just a few minutes but I love using this after conditioner but leaving it on for around 30/45 minutes for maximum effect, and then wash off in the shower. The reason I leave it on for so long is because my hair has been damaged to hell this year, and the masque contains their bio-advanced peptide complex which targets and reconstructs damaged strands. I have noticed my hair actually ending up a lot brighter, so this is a fantastic option for anyone looking to go a little blonder for the summer without the harsh nature of bleach. I always believe that spending money on quality hair care is essential when you’re blonde, and this collection certainly has my seal of approval. In fact, I’ve already ordered my second set to ensure I don’t run out any time soon.